“Lufthansa wants to replace top management at Brussels Airlines, a person familiar with the matter told Reuters on Sunday, pointing to the unit’s weak performance compared to other divisions. According to The Brussels Times, the pilots of Brussels Airlines are also threatening further action “if management fails to listen to us”. In the past, Lufthansa has stated its intent to retire the Brussels Airlines brand for its European flights and to operate under the Eurowings brand. Lufthansa controls the Brussels Airlines board, which meets today. Brussels Airlines’ three unions are also threatening to strike. Bottom line, Brussels Airlines is not likely to continue to operate as we know it today. 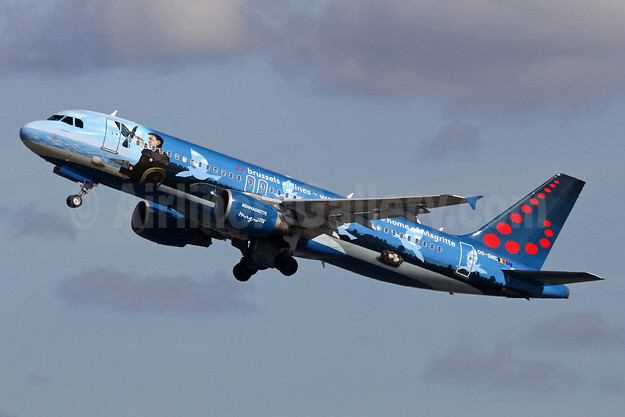 Copyright Photo: Brussels Airlines Airbus A320-214 OO-SNC (msn 1797) (René Magritte) LHR (SPA). Image: 934980. This entry was posted in Brussels Airlines and tagged Airbus A320-214, Brussels Airlines, msn 1797, OO-SNC, René Magritte on February 5, 2018 by Bruce Drum.